We provide and install specialized cushioned flooring for Gymnasiums which come in various formats like Tiles, Sheets, Rolls and strips. 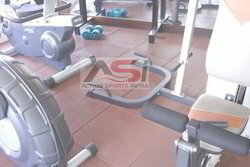 Cushioned surface for impact resistance is a new norm in modern gyms. 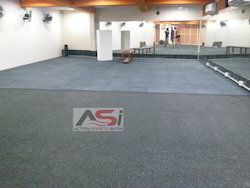 We import Rubber Flooring of various types for varying needs of your gym. Note : product price range from Rs 50 to Rs 400 Per Square feet. Note : product price range from Rs 70 to Rs 250 Per Square feet. Note : Product price range from Rs 50 To Rs 300 per Square feet. 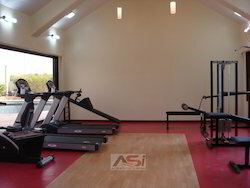 Looking for Gymnasium Flooring ?